Keep your bedsides Neat and Tidy! Littering your bedsides with all sorts of things really gets on the nerves sometimes. Don’t you want to keep your remote controls, box tissues and magazines somewhere you can reach from the bed without them making a mess? Then here’s the perfect product for you! Insert the arms into your bed’s frame and put in all the things you use regularly for simple and convenient organization. Beige to match with beds of all colors! Storage example: glasses, magazine, tissue box, TV remote control, cell phone, tablet, newspapers, etc…. [Point1]Easy to use! Just stick it in between! 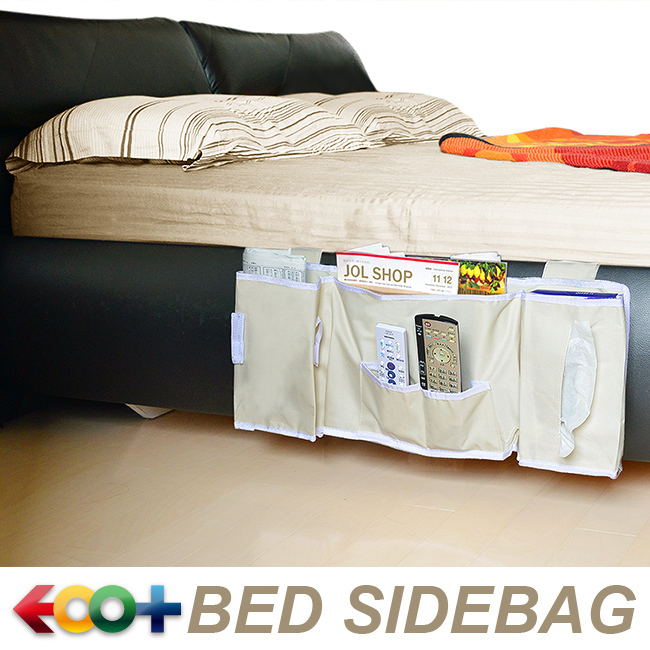 Put the insertion arms attached on the back of the storage bag in between the mattress and bedframe to fix it to its spot! Can be set up so easily by anyone, anywhere. ※Depending on the location of the arms, the product should be able to be used in places more than 49cm wide. 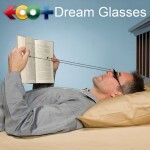 An ideal product for those who don’t want to get up to retrieve different things! 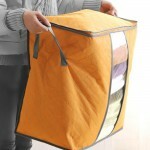 Multi-pockets for storing a tissue box, remote controls, magazines, newspapers, etc. Put all the things you use often into the same place where you can reach for so smoothly and easily. [Point3] Also recommended for the hospitalized, bedridden, and elderly! 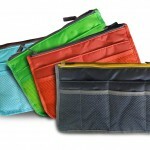 The leftmost pocket is attached with a piece of velcro and can be used as a trash holder. Have one of these and keep everything within a reach of your hand!